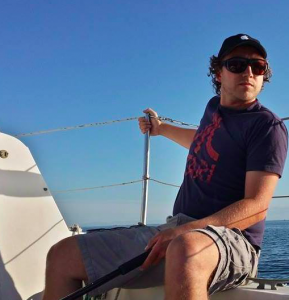 Colin has raced sailboats since the earth’s crust was still cooling. With his previous boat, XS, he won every major regional event many times over. Colin knows every single nook and cranny of the local waters. He can tell you all about tidal relief while approaching Darcy Island on an ebb tide. Or a flood tide. Or any other island, reef or channel, and in any conditions. Colin can also tell a fabulous story. Wind him up and get him going, and he will tell you about some of the hundreds of humorous and interesting stories about things that happened to him. 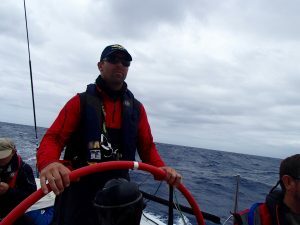 John started racing sailing in his early twenties. He has competed in one design on Martin 242’s and Star class and on various other race boats in the Pacific North West. 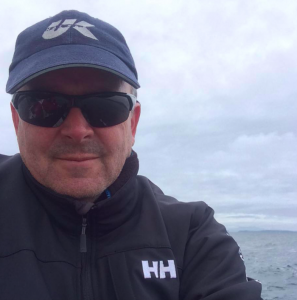 He has competed in many of the region’s biggest events, including Patos Island, Round SaltSpring, too many Swiftsures, Southern Straits and Round the County and looks forward to a competative fleet in his first VanIsle this year on Jackrabbit. 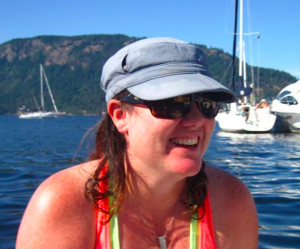 Leah is a veteran racing sailor, starting her career racing dinghies as a young girl. She competed in nearly every junior class right up to the national Olympic Trials levels. As an adult, Leah has competed in every major event on the West Coast and Pacific North West area. She is a well known competitor in the Martin 242 one design fleet, and also has extensive handicap racing experience. Leah looks forward to her first VanIsle 360 race, bringing her sail trimming skills and her focused driving abilities. 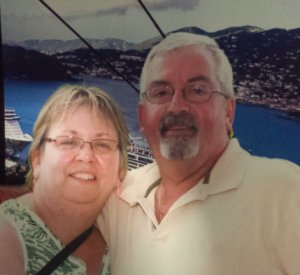 Steve has been racing sailboats for almost 40 years. 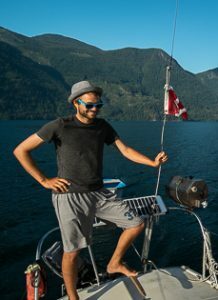 He started with his Dad, racing from Saltspring Island Sailing Club, and continued into adulthood, racing VARC events in Vancouver, and on the Glenmore Reservoir in Calgary, and many events up and down Vancouver Island. Steve also competes in radio controlled sailing, and is currently ranked 2nd in Canada in the International One Meter class. Steve is looking forward to competing in the VI360, one of the few local races he has yet to participate in. Gryphon Rennie is the youngest Jackrabbit crew member at 18, but is not without experience. Gryphon has enjoyed sailing with his family his whole life and started lessons at the age of 9. 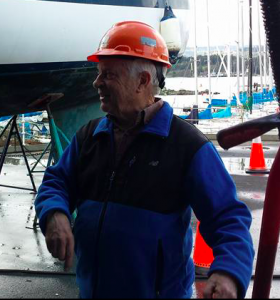 He has raced on both the Nanaimo Yacht Club and Royal Victoria Yacht Club race teams. This is Gryphon’s 4th season racing keel boats, his second with Jackrabbit. Gryphon also enjoys hockey and plays with the Cowichan Bulldogs through the winter. 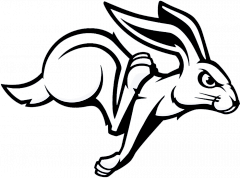 His hockey manager has spoken of his dedication, passion, and reliability making him a valued teammate and the Jackrabbit crew haven’t keelhauled him yet either. Gryphon is a first year mechanics apprentice and he hopes one day to use all his skills to travel the world sailing/racing. He’s excited to add the Van Isle 360 to his resume. My parents got me into sailing. I did not really have a choice in the matter I was on a boat younger than two. Later on, I started racing Dinghies at the age of 9 and haven’t stopped since. What’s your favourite sailing moment? Choosing one is not an easy task! I would have to say it was doing a port tack start at a Port Credit YC laser regatta with over 100 boats. It was a pretty awesome experience. What’s the first boat you ever sailed? I believe it was a Bayliner 25. This was the boat my parents had when I was just a child. My first dingy was an Albacore. What’s the biggest lesson sailing has taught you? The first lesson is, you will never know everything. Every day you go out on the water you will learn something new. They say the day you stop learning is the day you should not put to sea because as beautiful as the ocean is it can be a cruel and inhospitable place requiring your respect and admiration. Lindsay started out sailing on her family cruise boat at about 3 years old. Early memories of sailing include making slides in the cabin and sliding down them when the boat was driving through some 12 foot waves in a Gail storm (the kids were ordered to stay below so they got creative). There was also some strange stick that she was told to hold straight until the boat was pointing somewhere towards the gulf islands. Her favourite duty was firing the torpedoes (a broken fuse switch on the electrical panel that was no longer used) whenever a power boat went by and made too much wake while they were under sail. She has learned a few things about sailing in the paste few decades, including a bit about what the mysterious stick thing does. She answered an add for a raceboat looking for crew several years ago and started racing round the buoys. 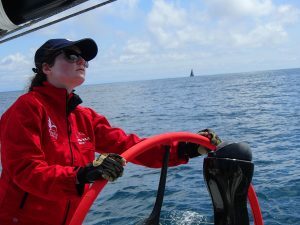 Since then she has been drawn to long distance racing such as Van Isle 360 and Vic Maui, and she is looking forward to participating in her second Van Isle 360 (and first one for Jackrabbit!) in 2017. Fritz hasn’t yet submitted his sailing bio. So we’re going to make one up for him. Fritz learned how to sail as a small child in the bathtub. He blew on his floaty toys and they skimmed across the water. Fritz sometimes tries the same thing on Jackrabbit, even though some of us remind him that it doesn’t work that way. When Fritz submits his actual bio, this embarrassing one will be replaced. Manuel was born and raised in Munich, Germany. He grew up on dry land. In his childhood the mountains were always more accessible than the ocean. He picked up sailing in 2009, while working on sail optimization at the Yacht Research Unit in Auckland, New Zealand. Since then he has sailed and raced on various boats of different kind and size. In 2012 Manuel moved to Victoria, BC, to work on his PhD in Wind Turbine aerodynamics. 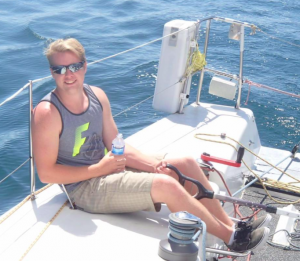 Shortly after he bought his first boat, Alena, a Shark24, which he races and takes cruising in local waters. 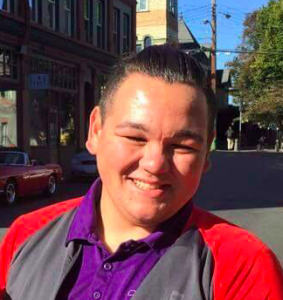 Manuel is an active member of RVYC and joined RCM-SAR Oak Bay in 2015. After years of coastal sailing, 2016 brought the first experience of the open ocean: a delivery from Maui, Hawaii to Victoria, BC. 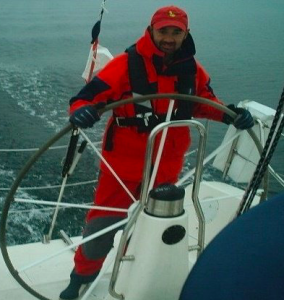 Now Manuel is excited about getting ready for the next big sailing adventure: racing around Vancouver Island. Matthew has been sailing for just under 5 years, but during that time has dedicated himself to becoming a skilled racer. He started on Cantina, a Catalina 42, but has since sailed on a variety of different boats, including Olson 30s, Hotfoot 27s and his own Cal 27. He is an avid racer, and it’s a rare week that doesn’t find him out on the water at least once. His background in tech means he loves optimizing for performance, while time he spent with the army reserves leaves him well prepared for the stressful situations sometimes encountered while racing. He has competed in many of the region’s biggest events, including 2 Patos Island races, 3 Swiftsures as well as the 2015 edition of the Van Isle 360 (on Cantina). He is excited to race with Jack Rabbit, and looks forward to a fast, fun and challenging Van Isle race in 2017.